Lagartun Metal Embossed Flat Tinsel is in the Caddis Fly Shop and will ship promptly. This is a spooled embossed metal tinsel that may be used as bodies, tags, tips, and rib on classic, traditional, and modern flies tied for salmon, steelhead, and trout. 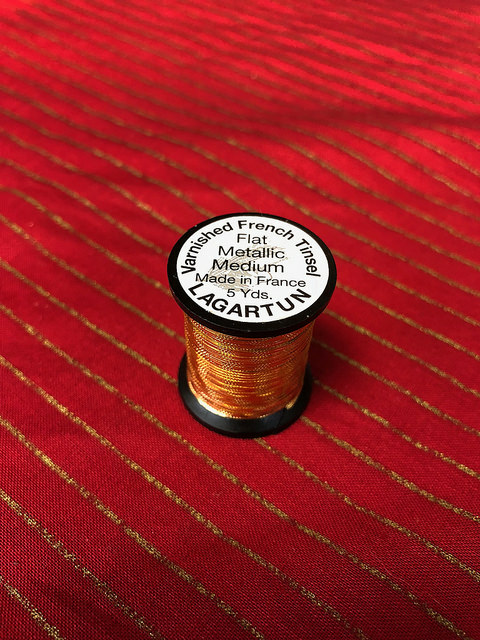 Discriminating fly tyers have been hoping for the return of superior Lagartun products to the US for several years; we are excited to announce that we are now offering a variety of these products in our Eugene Oregon Shop and though our Internet Catalog. 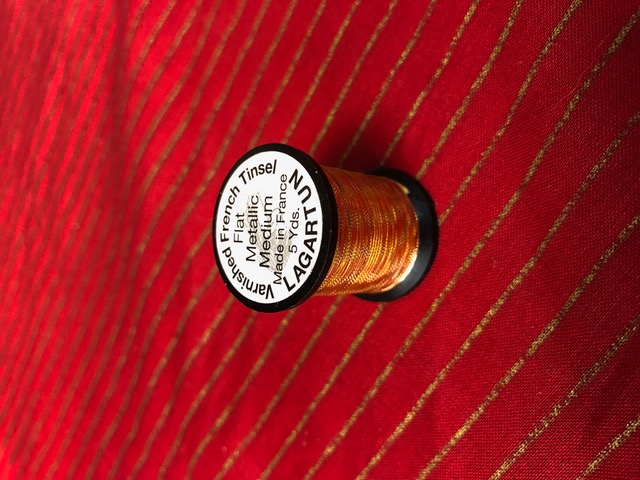 Why purchase your Lagartun Products from the Caddis Fly Shop? Start with the unsurpassed quality of Lagartun, the range of products we offer, and then factor in our complete one source shopping experience with first class customer service. How is Lagartun Flat Embossed Metal Tinsel different? This embossed flat metal French tinsel is smoothly spooled. Neat, precise, and perfectly aligned on each spool. Lagartun Flat Embossed Metal Tinsel is offered in medium and large widths. Embossed shiny, satin, and plisse textures. Varnished Metal? These flat textured metal tinsels are varnished and are as tarnish resistant as any we have ever seen and worked with. Depend on it. Annealed? Lagartun metal tinsel base materials are treated with a process of systematically heating and cooling the tinsel to increase the durability, flexibility, and thusly reducing the tendency of the material to retain memory. The Quantity per spool? Five yards!